A insulated mug which will keep drinks hot or cold, and reduce spillage. Price excluding VAT.(Incl. VAT £11.65) *VAT Relief available on this product. 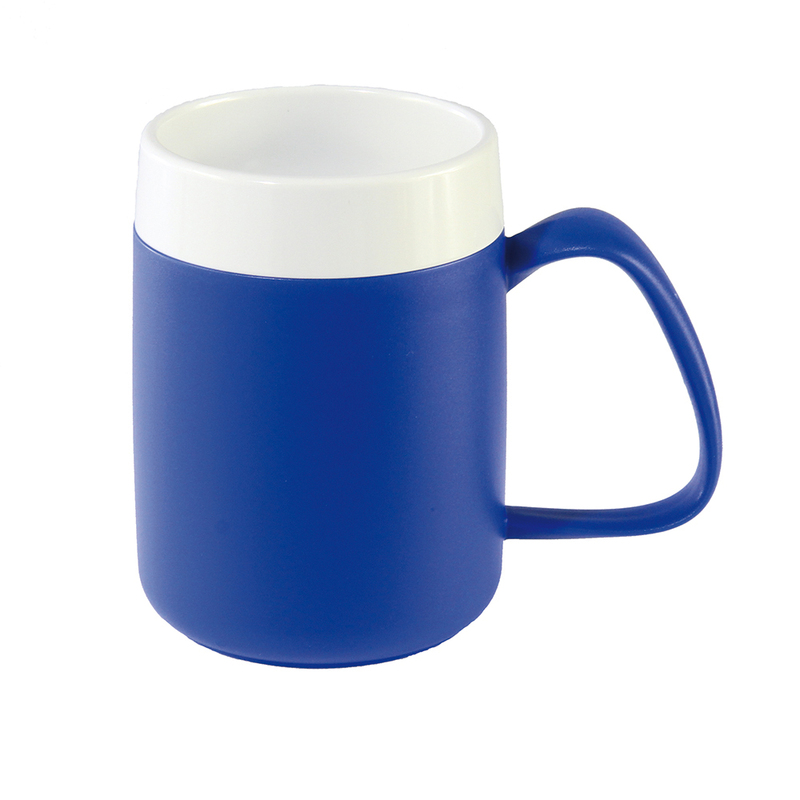 This blue thermally insulated “safe mug” has a double wall construction which keeps drinks hot or cold. Its inner section is shaped like a cone which allows the user to drink independently without having to tip back the head. This feature is very useful for people who have suffered neck injuries or have limited head movement. It has been designed using lightweight materials, and the big handle makes it easy to grip and hold for extended periods of time. The insulated cup will protect your hands against exposure to very hot surfaces. The blue outer layer contrasts really well against the white of the inner rim. This feature will help people with a visual impairment distinguish the mug more easily, thus reducing the chance of spills or other accidents. This mug is also dishwasher and microwave safe.